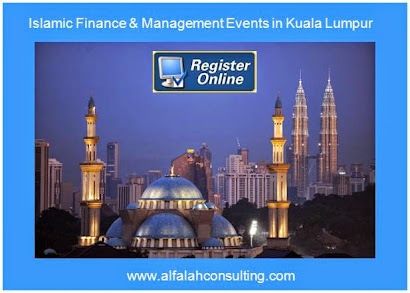 Islamic finance aims to move into infrastructure, as governments and bankers plan a new organisation to handle deals and expand efforts to use sukuk for projects in majority-Muslim countries. The asset-backed nature of Islamic finance should in theory make it ideal to build highway networks, ports and other big projects. An estimated $800 billion worth of infrastructure financing will be needed each year in Asia over the next decade, according to the Asian Development Bank. But so far, technical, legal and political issues have mostly confined sharia-compliant infrastructure deals to mid-sized ones with shorter tenors. Only a handful of project finance deals have been done. Governments are now trying to break the impasse. Indonesia, Turkey and the Jeddah-based Islamic Development Bank said last month that they planned to launch an Islamic infrastructure bank, with Indonesia and Turkey pledging at least $300 million each. "We build this first, then we ask others to join," said Indonesia's Finance Minister Bambang Brodjonegoro. The IDB is in talks with Chinese officials to study the potential use of Islamic finance by the Asian Infrastructure Investment Bank (AIIB) which Beijing plans to establish. 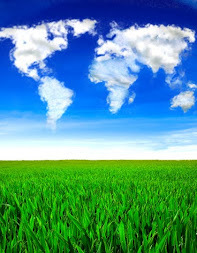 The IDB and the AIIB might co-finance projects. An alliance between the AAIB and the IDB could be a powerful one - deals in which the Chinese-backed bank was involved might be seen to have China's foreign exchangereserves and political clout behind them, drawing fresh investors to Islamic finance. 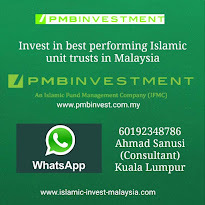 Mohd Effendi Abdullah, senior vice president of Islamic markets at AmInvestment Bank, one of Malaysia's top arrangers of Islamic bonds, said increasing issuance of longer-dated sukuk was helping to set pricing benchmarks for future infrastructure deals. 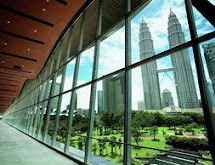 In April, the Malaysian government sold $500 million of 30-year Islamic bonds, the world's first sovereign sukuk with such a tenor. If sukuk are to play a bigger role in infrastructure, their arrangers will need to become comfortable working with longer tenors. Last year, $114 billion of sukuk were issued globally but only $24.5 billion had tenors of 10 years or more, according to Zawya, a Thomson Reuters company. Conventional Asian infrastructure bonds have tenors of up to 20 years, Abdullah said. Another frequent obstacle to the use of sukuk for infrastructure is their complex structures. Some require the transfer of assets into special purpose vehicles, which can be problematic for political or legislative reasons when it comes to large state projects. "Sovereigns may not be willing to adopt such structures if they may risk losing control of the asset, or if they do not have the necessary regulation and legislation allowing them to do so," Fitch Ratings said in a research note. When Egypt was debating a bill to allow sovereign sukuk issues in 2013, there was an uproar over provisions which, critics said, might allow authorities to abuse their control of public assets for corrupt purposes, or expose those assets to seizure by private investorsin case of default. The country has still not issued sukuk. The industry wants to side-step the need for lengthy legislative efforts by developing new formats. "This could be another form of hybrid sukuk, for instance ijara and wakala," said Bashar Al Natoor, Dubai-based global head of Islamic finance at Fitch. "Istisna has not been used extensively but it is something that could also be explored." Ijara, favoured by many sovereign issuers, is a common arrangement in which an asset is leased out; in wakala, one party acts as an agent managing assets for another. Istisna is a deferred-delivery contract for which payments can be made in instalments. Much will depend on whether issuers choose structures that are asset-backed - in which an outright sale of an asset takes place - or merely asset-based. Once the market reaches a consensus on which style is preferred, designing infrastructure sukuk deals will become easier, Natoor said. "This would help determine if the sukuk is based on the creditworthiness of the obligor or on the actual performance of the project, which would be more like structured finance." Abdullah at AmInvestment Bank said the long-term liabilities of Islamic pension funds and insurers were growing, partly because of longer life expectancy, which made them more disposed to consider getting involved in infrastructure projects. "Infrastructure projects, once completed, typically benefit from long-term concession agreements that usually offer stable and predictable cash flow, which are features that typically buy-and-hold Islamic investors tend to favour." 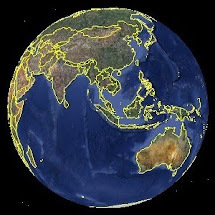 Sukuk are likely to be used to help finance a number of big upcoming projects in Malaysia, including the 27 billion ringgit ($7.4 billion) pan-Borneo highway connecting the states of Sabah and Sarawak, Abdullah added. (Additional reporting by Maja Zuvela in Sarajevo and Hidayat Setiaji in Jakarta.